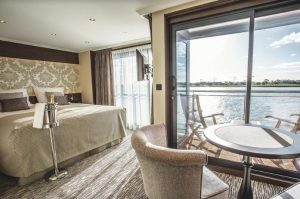 Solo travellers can save thousands of dollars following a decision by luxury river cruise line, Riviera Travel, to add another 187 solo occupancy cabins to its European cruises in April and May, 2019. Available on 23 dates, the cabins allow solo guests to sail without paying any single supplement. The announcement follows Riviera’s move to offer solo-only cruises in 2019, more than double the number of solo-only cruises offered in 2018. Responding to surging demand, the cruise line has gained a solid reputation for catering for solo travellers, also offering solo-only cabins on every sailing and every ship. 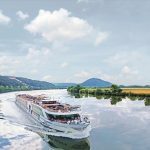 The additional sole occupancy cabins have been added to seven different itineraries across Europe this April and May, including cruises on the Danube, Rhine, Rhone and Douro rivers and the canals of Holland. The cruises allow Australians to immerse themselves in some of Europe’s finest countryside, while also visiting cultural sites and enjoying the comforts of Riviera’s five-star ships, each named after famous European authors such as Austen, Dickens and Shakespeare. The cruises cost from A$3089 per person for sole-use cabin, for the seven-night ‘Bruges, Medieval Flanders, Amsterdam and the Dutch Bulbfields’ cruise, highlights of which include exploring medieval villages, various WW1 historic sites, the world’s largest flower garden at Keukenhof, and Amsterdam’s bustling streets and canals. Fares are subject to availability and include daily guided excursions, onboard meals and Wi-Fi. Although a relatively new brand to Australians, Riviera Travel was established in 1984 in the UK and has since garnered a large customer base with its authentic and enriching holidays offering value for money. The company is consistently recognised by the travel industry and consumers for outstanding quality, service and value. Offering inclusive, five-star cruises at fares up to 50 per cent lower than river companies more established in Australia, Riviera Travel’s 12 luxury river cruise ships will carry a record 47,000 passengers on 327 departures across Europe in 2019. Riviera Travel’s spacious, five-star ships offer fine dining restaurants, marble lobbies, sumptuous lounges, sun decks, splash pools, gyms and suites boasting French or full balconies. The biggest river cruise operator in the UK market, Riviera Travel made its first foray into the growing Australian market in 2016.